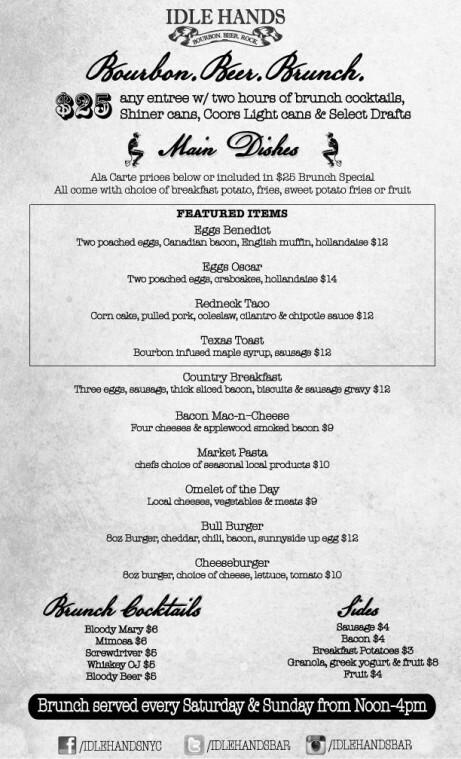 Idle Hands began serving brunch today with an all you can drink option priced at $25. From Noon to 4pm on weekends they’ve expanded the normal menu of burgers & wings to include tacos, pasta, eggs & other breakfast items. The AYCD option include two hours of unlimited beer & cocktails. Idle Hands: 25 Avenue B between 2nd & 3rd Sts.